Funeral service for Hannah Bates, age 21, of Cullman, will be at 2 p.m. on Thursday, March 1, 2018 at Cullman Heritage Funeral Home with Jerry Lawson officiating. Burial will be at Bethsadia Cemetery. 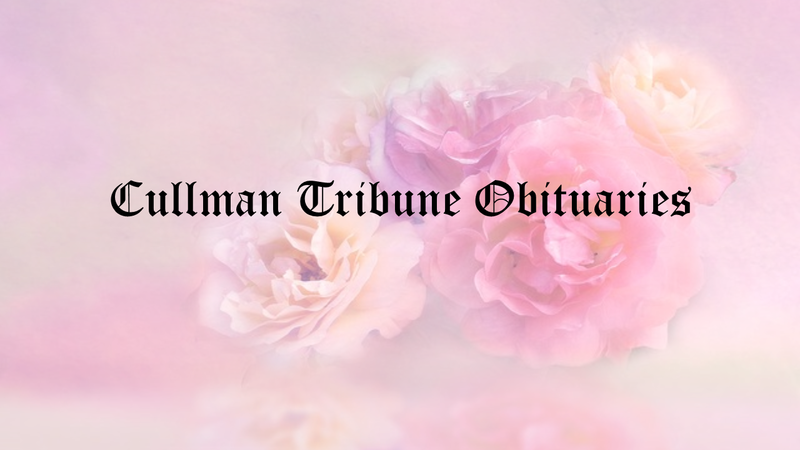 Cullman Heritage Funeral Home is in charge of arrangements. Ms. Bates passed away on Saturday, February 24, 2018. She was born September 21, 1996 in Cullman, AL to Lionel Bates and Sonya McSwain Bates. She is preceded in death by her three grandfathers; Leslie "Gene" Bates, Billy Franklin McSwain, and Guy Carr, Aunt Joy Baker and Uncle Don McSwain. Survivors include her parents, grandmothers; Betty Bates and Hilda Carr, aunts and uncles; Penny (Earl) Aldridge, Steve (Lisa) McSwain, Craig Bates, Deborah (Mike) Smith, Don Bates, and Ron Bates, cousins; Christian Knight, Kyle McSwain, Dylon McSwain, Mandy Shelton, Shellie Smith, Mason Aldridge and Ean Aldridge, and a host of great uncles and aunts and hundreds of loving friends.